How long does it take to install a painting in the Museum, from loading dock to gallery wall? For J.M.W. Turner’s Modern Rome—Campo Vaccino, the answer is seven days: really busy days, with lots of people working together to make it happen. We tagged along and chronicled the week on video. After its arrived from London with senior curator of paintings Scott Schaefer, the painting was carefully turned and lifted from its crate by a team of preparators, then secured to a cart and wheeled down the hall to its temporary home, the Paintings Conservation Studio. There Yvonne Szafran, our head of paintings conservation, would keep an eye on it. The painting was nimbly removed from its gilded frame by Yvonne and Gene Karraker, our frame conservator, and placed on an easel for examination—an important part of a conservator’s job. The glass would go back on later for protection, but today there was time for close look at the canvas, which is in remarkable condition for 172 years. “It has an inner light,” said Yvonne. Two days were dedicated to photography: tight work for an ultra-high-res scan, 15 details, and UV and infrared views for technical study. Senior photographer Jack Ross lit the painting and ran scan after scan until the digital Turner looked as much like the real one as modern equipment allows—brights shimmering, shadows (and goats) saturated. 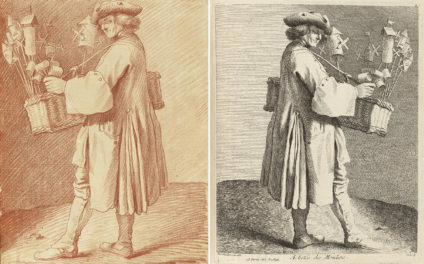 The scans were then color-matched against the painting before being published in the online collection and elsewhere. Publications are in the works; so is a postcard. Back in the Conservation Studio, the painting was X-rayed for conservation study; radiographs can reveal changes the artist made as he worked. During the week, Gene had assessed the condition of the frame, one chosen by Turner himself and paired with the painting since its creation in 1839. He filled small gaps in the gilding, prepared a new backing for safe hanging, and, yes, cleaned the glass. And then, in one swift turn, it was back under glass, as it has been displayed since 1878. Preparators sprang into action at 7:30 a.m. with carts, ladders, hand tools, and hanging hardware, carefully maneuvering the Turner via freight elevator to the West Pavilion. Princess Leonilla—who’d possessed the east wall in Gallery 202 since the Center’s opening in 1997—graciously made room for the new arrival. Hanging a masterpiece isn’t so different from hanging a picture at home: you measure the space to find center, do a bit of wall dusting, and hang it on strong hardware—in this case, metal cords suspended from a molding rail. And just when you think you’re done: “Up an inch on the left!” comes a voice from the other side of the room. Though Modern Rome is now on the wall, there’s still lots to do. Yvonne and her team will study the painting to understand Turner’s technique and the painting as a physical object. Scott and his colleagues will research and write about it. And, most importantly—you, we hope, will visit and enjoy it. Wow, exclusive!! I hope Princess Leonilla isn’t locked up for too long. Yes, Princess Leonilla is currently in storage. 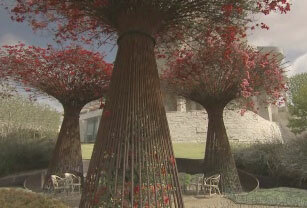 While there is no scheduled time for her to come back out, never fear, she is currently looking for a new gallery at the Getty Center to make her home.